Brissy, Brisvegas, Brisneyland…Brisbane seems to attract a lot of nicknames from everyone not living here. Most locals will tell you though that this is just jealousy from Aussies from the South! Brisbane is now recognised as one of the best cities to live in Australia and Brisbane is the fastest growing city down here, growing at a rate of about 1000 people moving here a week! The population of Brisbane is currently around 1,7 million although that number is an estimate; no one seems to know the actual number. Like a lot of places in mid- and southern Australia Brisbane is in the middle of the the worst drought in recorded history, quite critical really and we’re on level 5 water restrictions here and you really have to watch your use of water. There’s something like 17% of the normal water level in the water reserves and Brisbane could potentially run out of water a year from now unless some serious rain saves everyone come Summer. Scary stuff but reality for a lot of Australians! 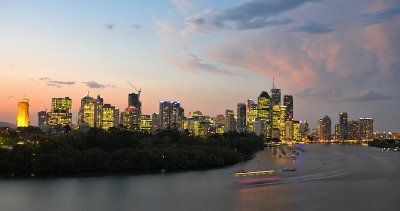 I really like Brisbane, it’s a lot like Copenhagen – all the perks of a big city but without actually being a big city. It’s still small and compact enough that you can get around easily on foot and the Brisbane River and the parks and botanical gardens makes sure that the huge highrises are not allowed to completely dominate the landscape. The architecture could not be more different to Copenhagen; most buildings are brand new and very tall steel, concrete and glass highrises dominate the cityscape and reach for the sky (see my shot to the left) giving it a bit of a Metropolis or Blade Runner sci-fi look to Scandinavian eyes. The river is utilised extremely well with lots of boardwalks and public spaces overlooking the river and providing heaps of spots to shoot from! Add all of this up and you have one brilliant town for me to shoot some cityscapes (something I believe I am rather good at) at dusk where all the lights here come alive and mix with the light of dusk – by far best time to shoot cityscapes (and get attacked by swarms of mozzies!). It was a culture shock landing here though. After spending over a month in places like Darwin, Uluru and Cairns I wasn’t prepared for hectic big-city life, noise, shops, traffic and people absolutely everywhere etc. The first day I got here it was windy and cold (only about 22-23c degrees) and I was freezing. Well the heat is back, ever since then it’s been close to 30c degrees every day and sunny! 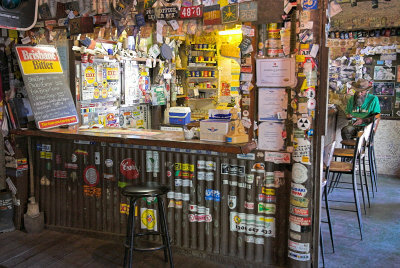 I do miss one thing though: the outback and the outback feel of much smaller cities like Darwin and Cairns. There’s nothing even remotely outback about Brissy, this is big-city life! Emo-kids. What a strange phenomenon (albeit not one that should bother anyone they don’t seem to bother anyone, they’re just…dark and emotional I guess). Maybe you know them, maybe you’ve seen them (they seem to spread worldwide, like an epidemic you find them everywhere). Here’s Wikipedia’s definition. I saw no Emo-kids in Darwin or Cairns I guess in the tropics it must simply be too hot to be an Emo-kid and wear all those black clothes and the weather is just too good to be depressed and emotional! Either that or they’ve all simply moved South because here in Brisbane there is like a convention of Emo-kids and there are heaps of them! Must be Emo-Kid headquarters, maybe I have found the source and this is where it all started and the Emo-Kid queen is hiding somewhere here? Too everyone who wears ‘Crocs’ shoes (another worldwide epidemic, pandemic I believe it’s called) I apologise beforehand….But please take them off and burn them and apologise for ever wearing them! Yes they look awful! Yes I don’t care you think they’re comfortable. No they don’t go with any of your clothes especially since you bought the pink ones. Yes it makes it even worse you bought Crocs for your entire family! It’s a pandemic I tell ya, world wide emergency and UN must do something now! I’ve seen things you people wouldn’t believe. Attack ships on fire off the shoulder of Orion. An Albatross running on Eagle Street Pier. I watched C-beams glitter in the dark near the Tannhauser gate. I’m on tour next week (me and my band you know) so don’t know if I’ll have much internet access before next Saturday – see ya then mates! 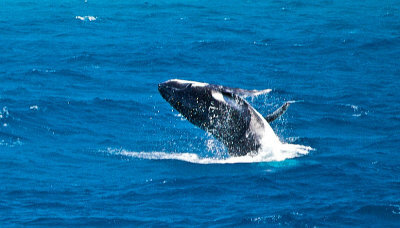 I am currently in Brisbane in South Queensland and this is one of if not the best spot in Australia to go whale watching! 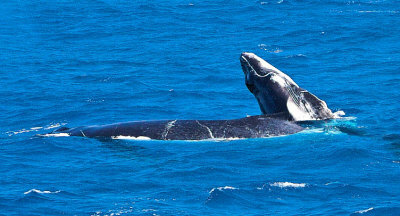 The main reason for this is Moreton Bay; each year the southern humpback whales migrate to and from Antarctica and the whales seem to love Moreton Bay. They don’t just pass through in their migration they feed, mate and play in the crystal clear and clean sea of Moreton Bay. 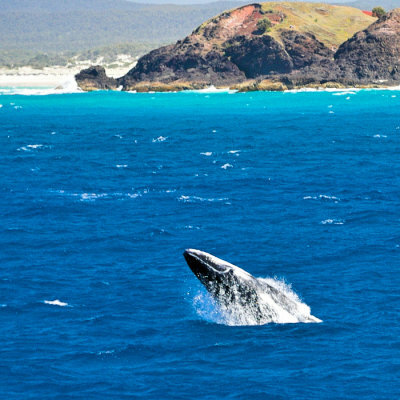 Another reason is actually that there are only two whale watching boats allowed in Moreton Bay and they run at different times of the day so when you find a pot of whales the boat can stay with them as long as possible, there are no other boats to consider – you got it all for yourself. This is brilliant since humpback whales are the most surface active whales and are naturally curious so often they will come close to the boat to check you out! Brisbane Whale Watching is one of the two whale watching boats and this is the second time I’ve been on their custom built Eye-Spy catamaran and it’s a fantastic experience. I’ve written a blog post about this before, click here to read it, here’s what we saw this time. It is so much fun and seeing humpback whales in their environment is such a phenomenal experience (and not an easy thing to experience living in Copenhagen) I may very well end up going again while I’m here in Brisbane! This weekend is the biggest of the year in Australian sports! Saturday it’s the AFL (Australian Football) grand final between Port Adelaide and Geelong and Sunday it’s the Rugby League grand final between The Melbourne Storm and Manly Sea Eagles. It doesn’t get any bigger than this, Australians love sports (so do I) so every pub will be packed and streets will be deserted! Both AFL and Rugby League are great action packed sports so I’m going to find the pub with the biggest screen and get some beers and join in the fun! The Danish TV show “Rejseholdet” is shown on channel SBS down here, it’s called “Unit One”. I was channel surfing and landed on SBS, after a while I noticed that the actors looked familiar. Then I started listening, what is that? Then it hit me, they’re speaking Danish, that’s “Rejseholdet”. I haven’t heard or spoken one word of Danish since I left so it took a few secs to register. As some will know I happen to talk to myself on occasion or talk to my computer (don’t worry I don’t get into arguments with myself…now the computer is another story) but I always do that in English anyway! – in honour of “Rejseholdet” or “Unit One” as it’s known here. July 2010: This post is 3 years old and completely outdated, I will write a new one soon. 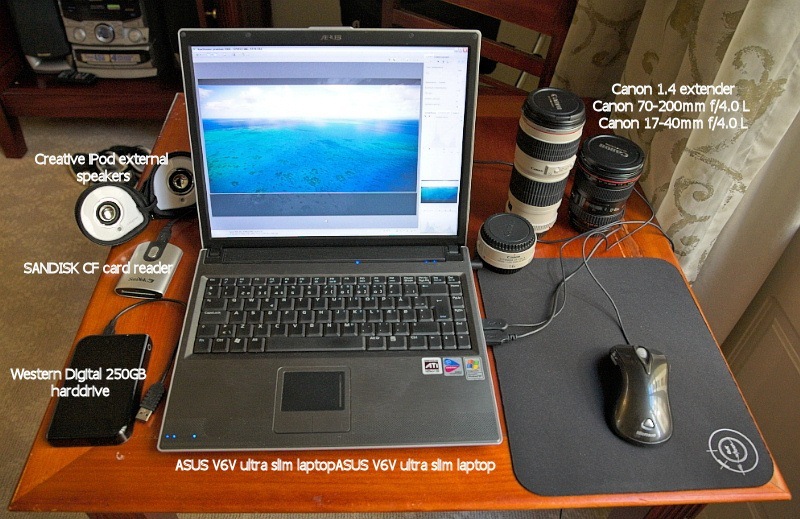 Missing from the picture is of course my Canon EOS 5D (using that to take the picture) with 24-105mm f/4.0 L lens, 2 Hoya polarizer filters, 20 blank DVDs for backup, Gorillapod SLR-zoom travel tripod (works really well, very surprised), 2 Ipods and an awful lot of power supplies, battery chargers and a lot of other small gadgets (like a solar powered mossie repellant and a GPS tracker which I unfortunately broke in the outback). Workflow: I use the brilliant Breeze Systems Downloader Pro to download raw files from my memory cards and it automatically creates a backup copy of the raw files on the external WD harddrive and keeps track of all files, ensures that all files on the memory card are copied with no duplicates etc. Super piece of software. I then burn copies as well on DVDs so I have 3 copies of every RAW file. (can’t be too careful!) I then use the phenomenal Rawshooter to quickly look through today’s shoot and pick out a few shots to develop and post on my website. I use Windows Live Writer to write blog entries (since it works offline as well). I am quickly approaching 2000 shots (and I don’t shoot heaps of every scene) and everything has worked perfectly so far (with a small 5D hiccup). Everything fits in my Lowepro Computrekker laptop&camera backpack (it gets a bit too heavy but don’t tell that to Qantas) so I can bring everything onboard my flights as hand luggage! For daily use I have a Lowepro Stealth reporter shoulder bag for the camera + 1 or 2 lenses (on flights this then has to fit inside my 1 large check-in luggage bag since you can’t have more than 1 hand luggage and 1 check-in bag). It takes good organizational skills to be a traveling photographer and quite a bit of equipment and I reckon I’m traveling very light compared to some! A city that is mostly purpose built for tourism is always going to feel just a bit contrived; a bit too constructed with a bit of a theme park feel to it. 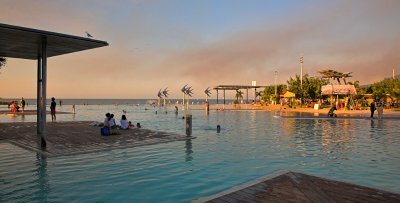 Cairns currently has a population of about 125 000 but millions of tourists stay here every year and most of them to dive on the Great Barrier Reef; making Cairns one of the most popular dive destinations in the world. There are an unbelievable amount of different tours available in Cairns and it can feel sometimes like one big tourist resort. Amazing best-of-the-tropics experiences just a few hours away. 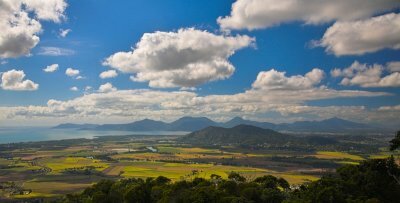 Not many cities can claim they have World Heritage sites like the Great Barrier Reef and the Daintree Rainforest just next door and go further north (I did that last year) and you have the very remote Cape York outback. 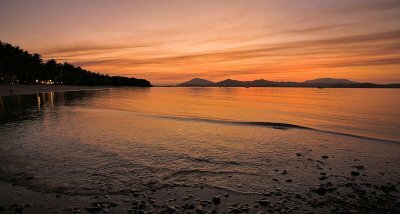 Cairns really is gateway to some phenomenal tropical experiences. Tropical climate at this time of the year is just perfect. Sunny every day, around 27-30 degrees at day and around 18-20 degrees at night. Like some Cairns resident told me “It’s just pure hell living in Paradise”. Laid back relaxed tropical lifestyle quickly becomes addictive! Adding to this I managed to get a super nice (and huge, size of my flat back home) hotel room the last 7 days, top floor of Mercure Harbourside with a fantastic view of the Esplanade (see first picture in this post) from my roughly 6 meter long balcony. How to blag a room like this? Well the harbour view you pay extra for, but stay for quite a few days, say “make sure the room has internet as I’m a photographer and have business to do, lot’s of stuff to photograph here” (all the rooms have internet, but it helps to say you actually need it for business) Have your huge camera and lens on your shoulder when checking in and chances are you’ll get the best available room. It worked in Darwin, worked in Cairns! Waking up early every morning at 6am and watching the sunrise from my huge balcony on the 7th floor. Yeah, life’s pretty rough here! After spending two weeks in Cairns I have to agree with the bloke from Cairns who said to me “it’s pure hell living in paradise! More at my gallery. I am now in big city Brisbane (known as “Brisvegas” or “Brissy”) and what a culture shock. I know Brisbane and really like it, have been here last year for a few days – but coming from the relatively small towns of Darwin and Cairns to a big city takes a lot of acclimatizing and is certainly a new chapter in this odyssey (I do miss my ocean view mega hotel room!). Brisbane is very good for gorgeous cityscapes at sunrise and sunset though so stay tuned for up-coming post about Brissy! Same day as I thought my Canon 5D broke…I hit the max limit for 30 days use on my VISA card so the ATM denied me any money and I had to use room service and charge the food to my room bill so I could eat a bit. Didn’t know there was a limit; fortunately an email to my bank removed the limit altogether so I can now spend till I’m broke (will be once I buy that helicopter)! Sunday was not a good day. One of the seven wonders of the world; a World Heritage area – and it is also actually the earth’s largest living thing! 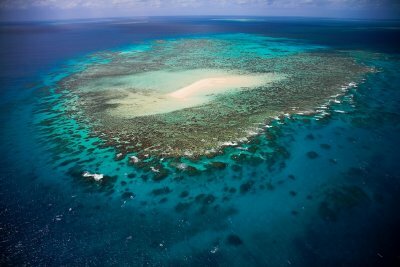 Stretching 2000 kilometers the Great Barrier Reef is the most extensive reef system in the world and it is made entirely by living organisms some as old as 18 million years! When lit up by the sun the colors of the corals and the sea practically defy photography, it is really hard to capture these colors on a digital sensor, the fantastic palette of blues and greens are impossible to reproduce. The reef is of course not one big reef, but made up of about 2900 separate reefs and Cairns is the main gateway to a bewildering amount of reef tours. 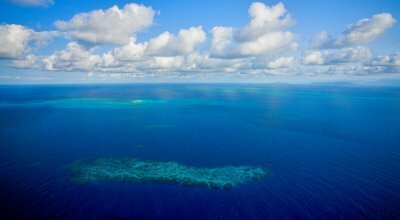 You can see the reef in just about any way imaginable and the reef contributes an incredible 4 to 5 billion Australian dollars every year to the Australian economy! 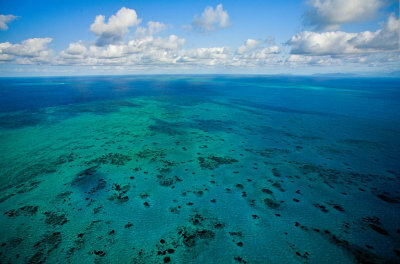 I reckon the two best ways to see the reef must be: up close and personal by diving – or from above by helicopter. I’m no diver (to say the least) so for me it’s from above and it’s gotta be by helicopter (as some of you will know I love flying in helicopters). Last year I did a short helicopter flight over Moore Reef; this year I waited a full week to get a 60 minutes reef ‘n rainforest flight to Arlington Reef. They only fly with a minimum of two so it’s either wait till someone else books the same flight or pay for two. Luckily on my last day in Cairns the waiting paid off (I actually would have paid for two if I had to!) and 3 other passengers joined me for an afternoon helicopter flight with Sunlover Helicopters! Conditions weren’t perfect for photography, bit too much wind and a very hazy day but I have to take what I can get until I can afford my own helicopter (but then how would I fly and shoot pictures at the same time). ARRRRRGHHHHHHH…..bloody heart attack…shiiiiit…just before posting this my camera suddenly refused to recognize the memory card I just inserted. Bugger me!!!!! That got the blood boiling! Fortunately a reset by removing battery did the trick but I’ve never had this happen before. And even though I would walk down and buy a new Canon 5D tomorrow if it actually was broke, I would rather not, the 5D is super expensive! Whew…false alert, thank the maker, I can call off the heart attack. Next post will be about the city of Cairns itself, I have collected a few great shots of Cairns a town that I’ve grown to really like over the past few weeks. Weather…it’s just perfect everyday. Sunshine and 30c degrees. Like a resident from Cairns told me “it’s pure hell living in paradise”! How the hell do I adjust to normal life again in Wintery Copenhagen now that I’ve completely adjusted to this tropical life and shooting pictures full time? My thanks to our Crown Prince Frederik for marrying Mary the Aussie; Danes are now treated almost royally down here, many Aussies feel Denmark is now some sort of sister-country and often want to know how Mary is going! – George Bush speech at the recent APEC convention in Sydney. (He also managed to call Australians “Austrians”! Like the title here’s a bit of a mixtape for you of a few of my recent Cairns experiences in planes, trains and automobiles. Also check out quite a few new shots in my gallery. We circled for 15 minutes but was running low on fuel – so we bloody had to return to Cairns. At 8.45 I sat in the same Skytrans terminal in Cairns with a heavy feeling of Deja Vu! At 9.30 we took off again for Cooktown, this time with an expectation of actually landing there! We did and although it cut the tour a bit short and left us with next to no time in Cooktown we did get to fly to Cooktown – twice! 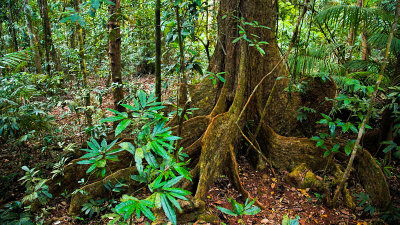 A tropical rainforest is fantastic and it does not get much better than the Daintree Rainforest north of Cairns – the oldest rainforest on earth with trees that are more than a 1000 years old. It is just a phenomenal experience to walk around and study the plants, trees and wildlife. This is another of those ‘on another planet’ experiences. A polarizer filter is again a must for photographing in a rain forest and so are cloudy conditions which we were lucky to have (rain would have been nice too, but can’t have it all) as it brings out the green it shots like the one on the left. On this 12 people trip there were 4 retired Americans from Tennessee; they were so incredibly nice and the most friendly and polite people you can imagine and they all had this fantastic slow southern accent (a drawl I believe it’s called) making them sound like a cross between Elvis, Forrest Gump & Clinton (although he’s from the neighbour state Arkansas). One of them (I’m terrible with names but he was The One With Best Accent) was videoing everything and did a running narrative as well into his video camera – hilarious stuff! “Nowwww this here is Dainnnntree Rainnnnnforest in Arrrwwwstraulia and that there is a strannnngler tree” spoken very slowly with some serious rolling on every “r”. I found it hard not to laugh every time he did it, loved it. “Now it’s been a rrrreallll pleasure meetin’ you; now you come see us soon in the United States” The One With Best Accent said to me as I left the truck. Would love to mate, especially if you can teach me that accent! I hate it when tour guides say something along the lines of “the original settlement was a penal colony”. I beg to differ, the original settlement of Australia was the aboriginals! They were here for some 50 000 years before the white people, so yeah, it was sorta their country mate! This week I have a rather spectacular and huge room on the top floor (7th) of my hotel in Cairns with a great view of the ocean and the esplanade. The room is so large I can run around and exercise indoors! Means I don’t have to do my albatross impression down the esplanade in Cairns endangering all the other morning joggers who can actually run (they would be in serious danger of dying from either laughing or me crashing into them…or both)! Where’s the Great Barrier Reef shots you ask? They’re coming…still waiting for my helicopter flight to outer Arlington Reef. Stay tuned. ‘Bourne Ultimatum’ is outstanding, the 3 Bourne movies the best secret agent movies ever. I would be Jason Bourne except I can’t run. I could be Jason Bourne on a bicycle! Noticed the tropical paradise picture on the left? That’s what I did the past 4 days – lived in a beach house on a small tropical island called Dunk Island. 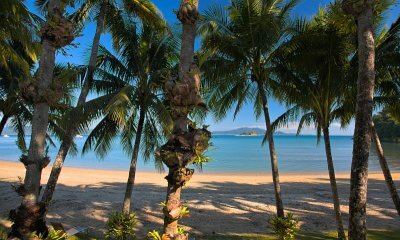 Dunk Island is named after some bloke named Dunk! 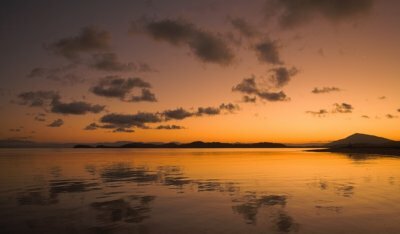 The original aboriginal name Coonanglebah apparently means Island of Peace and Plenty – sounds made up but you never know and it certainly was great relaxation! A few random comments about random things; includes lots of exclamation points! Exercise. In the Northern Territory with all the rock climbing and walking I did I felt I didn’t need much extra exercise (far too hot to run anyway). But now I have finally begun jogging (+some sit-ups and push-ups). Me running. Not a pretty sight! Think Phoebe in that FRIENDS episode where Phoebe and Rachel take up jogging. Arms and legs everywhere very much like an albatross trying to take off! I miss my bicycle! Looking familiar. Someone tell me who it is I look like? If I had a dollar for everytime someone here tells me “you look so familiar”. I wonder who could possibly resemble me down here? Weird! If someone meets my clone let me know! I would like him to work for me, not run around out of control! Ipods are the best thing since sliced bread. I somehow own 3 of them and use my Ipod Nano all the time! That SAS airplane accident in Aalborg has been on the news here repeatedly. Looks bloody scary! It’s good to have an open mind but no so open that your brain falls out!